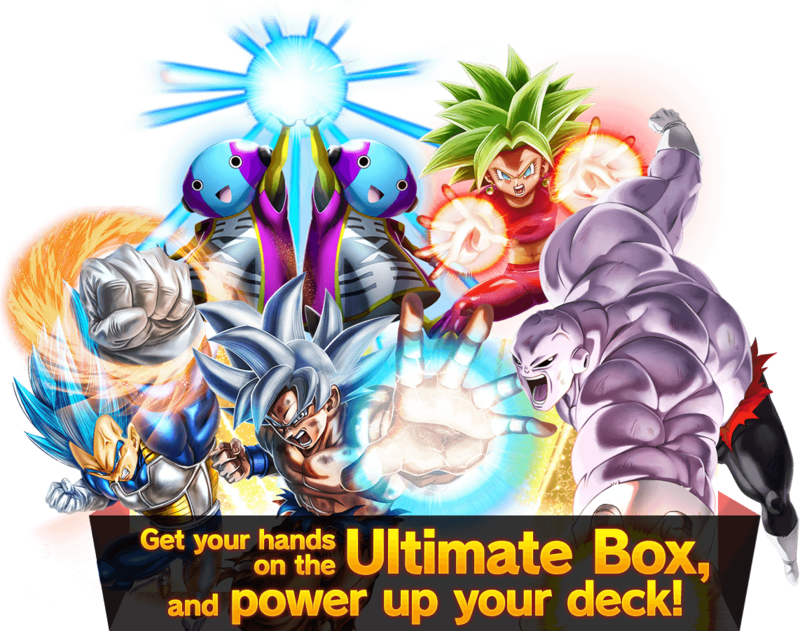 Here’s the Ultimate Box’s lineup of galaxy-shattering warriors! Each card has synergy with previously released cards, making them a great fit for a wide variety of deck archetypes! 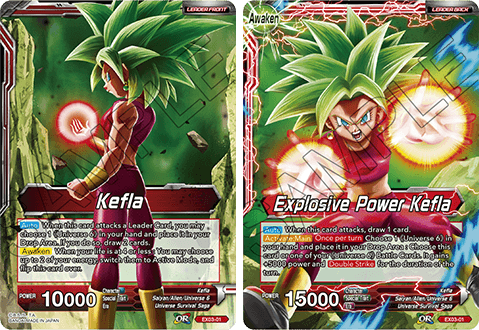 As red’s leader, Kefla powers up cards from Universe 6! Overwhelm your opponent with a flurry of attacks! 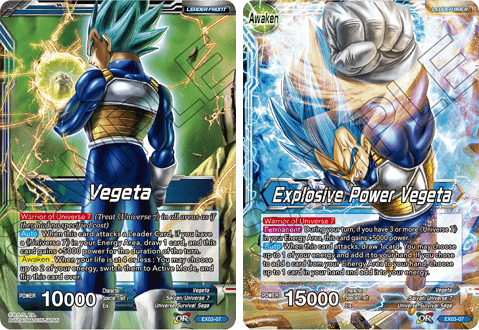 Blue leader Vegeta powers up Universe 7 characters! Manipulate your energy to pull ahead of your opponent! 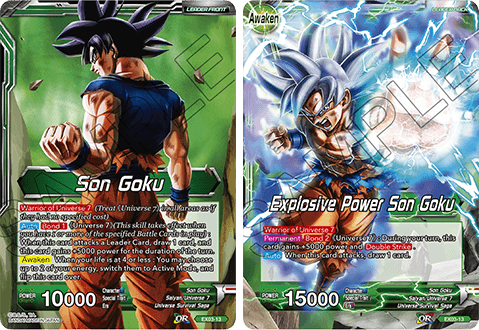 Goku leads in green, powering up Universe 7 cards and powering himself up to become a fearsome attacker in his own right! 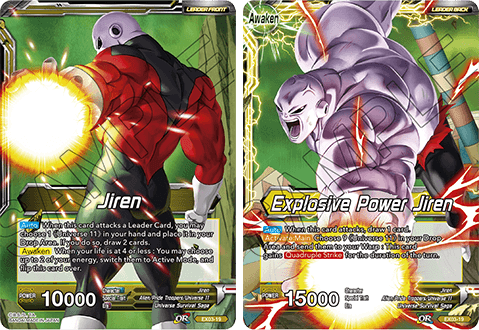 Jiren is a fearsome yellow leader, giving a big power boost to Universe 11 cards and building up to unleash a final, massive strike! Zen-Oh is the black leader, unifying all universes! 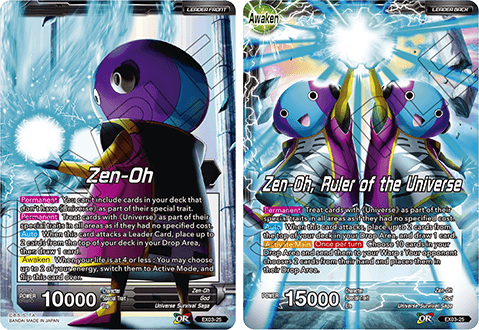 If you want to build a god-focused deck, Zen-Oh is the leader for you! Token cards also included for all your token-focused decks!